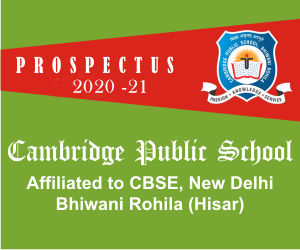 Dear Parents, Cambridge Public School, has come to symbolize the truest spirit of dedication to the task of maintaining an excellent standard of education and discipline. I have received unstinted co-operation of the staff in this arduous task, and the outcome has been consistent excellence shown by the student, not only in the academic result but also in various fields of extra curricular activities. To get the best from the school for your ward you are advised to be in the close contact with the school authorities. Teachers and parents are two banks in a child’s life, their balance of love and care can change the life of a student. Just as breathing is essential to survive,similarly loving the child / student is essential for teacher and parents. At C.P.S., we provide an environment and curriculum where the child canexplore and develop every facet of himself / herself, enabling him/ her torealize their true potential. The success of C.P.S. 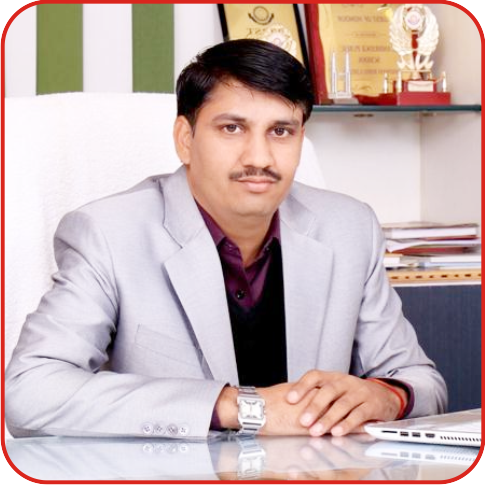 in such a short span oftime is due to the hard work and dedication of the Teaching faculty, staff andactive cooperation of the parents who believe in constant improvement andup-to-date teaching strategies. The school offers a variety of learningopportunities through organising debate, music dance, drama and sportingcompetitions. My heart fills with pride and immence pleasure when i see mypupils procuring quality education and becoming creative, innovative as well asthe real citizens of 21st Century through the utmost skills. Myheartfelt wishes are always with my worthy scholar pupils. I hope the schoolprospectus will give a clear idea of values and facilities that will beavailable to the student of classes Nursery to Class XII. I am confident thatC.P.S. will play a vital role of educational leadership in the years to come. Good luck and best wishes !